(Natural News) Spanish researchers are touting a certain strain of phototrophic bacteria as a cheap, clean, and efficient means of extracting organic compounds from sewage. They claim the recovered materials can be turned into useful bioplastics and biofuel. Phototrophic bacteria are different from their photosynthetic cousins in that they can only store energy derived from sunlight. While they can absorb other wavelengths of light, they are most efficient at collecting light that shares the same color. 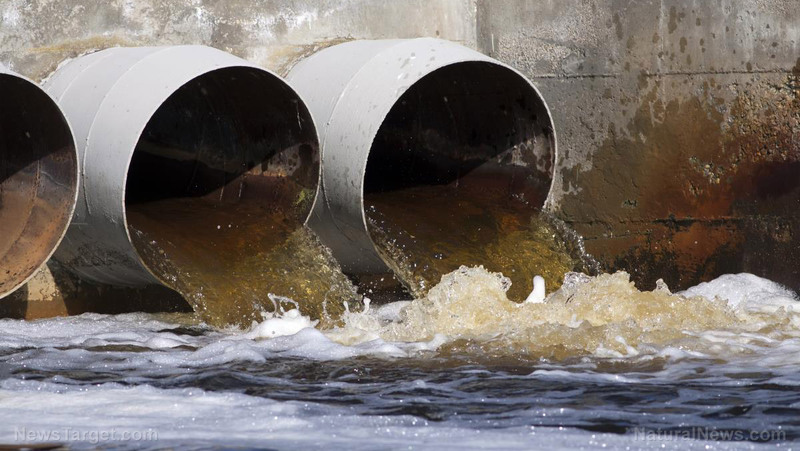 Researchers from King Juan Carlos University (URJC) and its academic partners theorized that these bacteria could get organic compounds out of sewage water. They set up a biorefinery that could provide an electric charge to the microorganisms. In their pioneering study, they reported that the purple phototrophic bacteria recovered nearly all of the carbon present in wastewater samples. It achieved this near-perfect efficiency on all of the tested types of organic waste. As a welcome bonus, the bacteria also produced hydrogen gas. This byproduct is a popular renewable fuel for producing clean energy and valuable in its own right. Green is not the sole color capable of photosynthesis. There are many photosynthetic pigments that use different colors. The most common example are autumn leaves, which use the orange, red, and yellow relatives of chlorophyll. Phototrophic bacteria are classified according to the color of the pigment they use to absorb light. There are brown, orange, red, and purple strains, the last of which is the topic of this study. For the URJC researchers, the greatest asset of the purple bacteria is not their royal color. It is their flexible metabolic system. Purple phototrophic bacteria can turn organic molecules and nitrogen gas into carbons, electrons, and nitrogen – the requirements for photosynthesis to take place. Since they do not rely on CO2 and H2O for food and energy, these microorganisms can grow faster than their counterparts. These bacteria can also produce different types of metabolic byproducts. Biodegradable polyesters, hydrogen, and proteins are three of the most useful materials that come from this process. Researchers explained that they could control which byproduct is produced in the greatest amount by adjusting the environmental factors in the biorefinery. They can make the light brighter or weaker, raise or lower the temperature, and feed the bacteria different nutrients and organic materials. To help the purple phototrophic bacteria get the most resources out of the wastewater, the biorefinery runs an electric current through the water. The bacteria uses the electrons in the current to power their various metabolic processes, thereby increasing their efficiency at converting organic waste into biofuels. The URJC researchers have identified the right mix of nutrients that produces the biggest amount of hydrogen. At the same time, it also minimizes the output of CO2. They also tested the effects of a negative current by placing metal electrodes in the growth medium of the bacteria. It turned out that purple phototrophic bacteria could also use electrons from these “negative electrodes” to collect CO2 during the photosynthetic process. “This indicates that the purple bacteria were using electrons from the cathode to capture more carbon from organic compounds via photosynthesis, so less is released as CO2,” they reported. Their next step is to further boost the microorganisms’ production of hydrogen biofuel.